Almost everyone on Team Pocket-lint is a camera nut of some description but out of all of us with our various bits of high tech snapping kit, I’ve also got quite a strong collection of Lomo cameras. 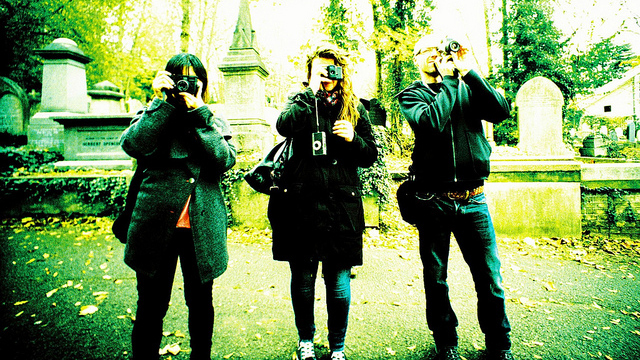 The question is though, is film still relevant beyond retro style photography? Does it still have a place in society and how much of a pain in the bum is to use now that we’re mollycoddled by the happy snapping ways of digital? I decided to find out in 7 days. The challenge here was to go for an entire week without using any digital cameras whatsoever, including the one on my iPhone. My day-to-day camera, which was housed safely on my bookcase for the entire 7 days, is a Panasonic DMC-LX3 – the brand’s top-of-the-range compact from a couple of years ago which is nice and portable while also offering excellent picture quality, largely thanks to its fancy Leica lens. I also use a lot of film cameras, but they’re all lo-fi models (mostly Lomo) so the first step was to track down a decent film snapper to use for all the Pocket-lint reviews and hands-on work that I do. As it turns out, not an easy task. Obviously, this isn’t a review of any of the cameras involved – it’s an account of life without a digital camera. My 7 days begins on Thursday – simply because the Nikon camera turned up at my door halfway through the week. Read on to find out what happened. Thanks to a week of very late nights staying up to follow the London riots on Sky News and Twitter (and praying that they wouldn’t come any closer to my home or those of my friends), the tail-end of the week was something of a struggle. 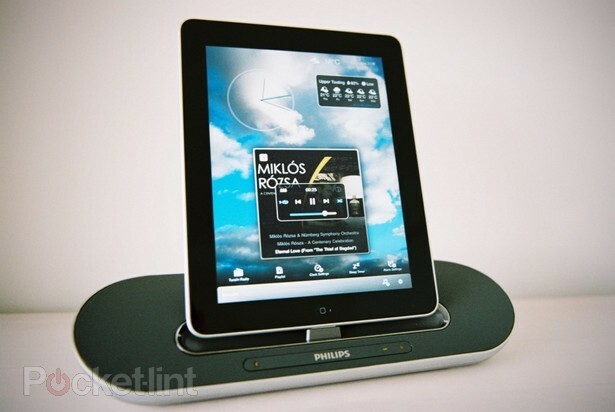 On the agenda for Thursday was a review of the Philips Fidelio DS7700 iPad dock. Usually I would breeze through my review shots on my digital camera, checking them on the screen as I go, before transferring them to my computer and resizing them – all within about half an hour of setting up the kit. Not this time. Naturally, all of the pictures needed to be snapped using the Nikon F6 and things took a bit longer when film was brought into the equation. After finally managing to load up a Kodak Gold ISO 200 colour film after several failed attempts and a substantial amount of swearing, I was finally ready to get stuck in. The F6 is a heavy camera at the best of times and even more so when you’re trying to balance an iPad dock in one hand and use the camera one-handed. I’m not really a SLR aficionado, so I was at the mercy of the hastily Googled manual when it came to setting the camera’s controls. The fact that I couldn’t take a couple of test shots and look at them to check that the settings were correct before I got started was a major hassle. Having to finish the film off was also something of a pain. Using a well-practiced review routine, I can usually get the 10-15 shots that I need by taking around 20-25 of them on my digital camera. As this iPad dock was a relatively simple piece of kit with only a couple of buttons, there were only a certain amount of shots that I needed, but I had to keep going after that to finish off the film – taking up precious time and also making by arm ache from holding the F6. Once finished, instead of just popping an SD card into my computer, I had to make the 10-minute saunter down to the local Boots to put my film in for one-hour processing, at a cost of £7.49 (I initially went into the nearby Snappy Snaps, who said that they’d be able to take care of my photos in an hour, but then backtracked when I presented them with a film and said that it would take three). Then I went back home for lunch before returning to pickup my disc of images, all the time praying that they were ok so that I wouldn’t have to repeat the entire process. Thankfully, the pictures were mostly usable, although the review lacks a close-up shot of the Bluetooth and volume controls as none of my shots of these were sharp enough and I didn’t think that it was worth the cost of another film and more processing to put right this tiny detail (not to mention the time involved). After work, I moseyed on down to the Lomography store in Soho for a largely beer-based “tea party” to celebrate the new B&W Earl Grey & Lady Grey films. Being without a digital camera in the Lomo store is hardly unusual so I didn’t miss not being able to use one, and I took along the La Sardina and a Polaroid 300. 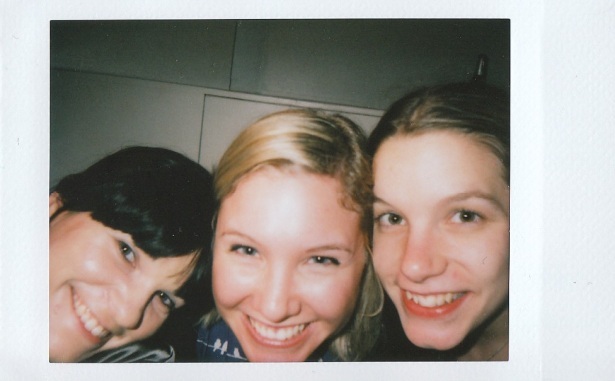 I took a few shots, including this Poloroid snap (above) of myself, and fellow journos and Lomo users Kat and Laura. 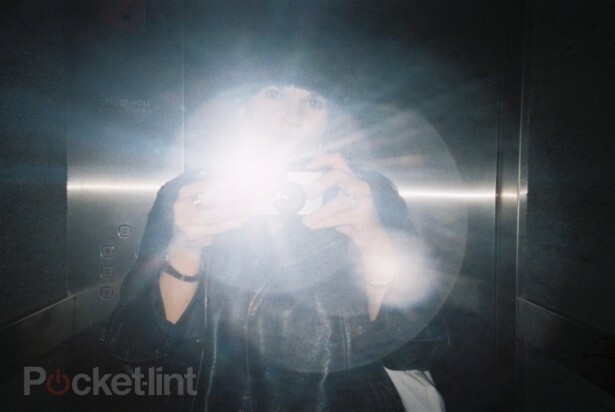 You can read the rest of the article here on Pocket-lint.com (originally published 29/08/11). 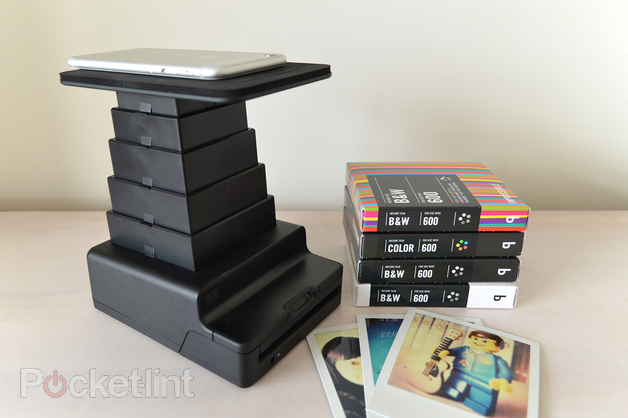 Here’s a feature that I wrote for Pocket-lint.com following an interview with Polaroid’s MD, Graeme Chapman. 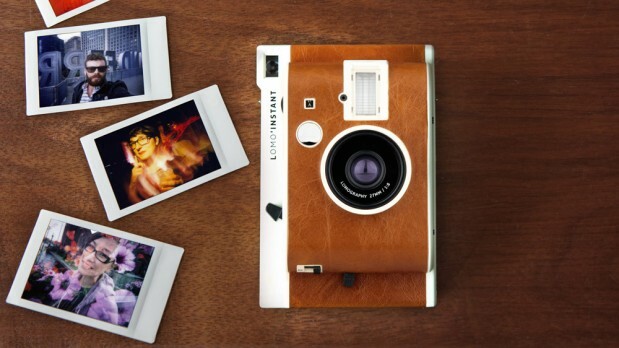 In musical terms, kooky popstrel Lady Gaga, singer-songwriter and actor Sting and rock duo The Kills haven’t got much in common, but one thing that they all share is a passion for Polaroid. In fact, Gaga is such a big fan of the cult instant-photo brand that the company recently took the unusual step of making her its creative director. 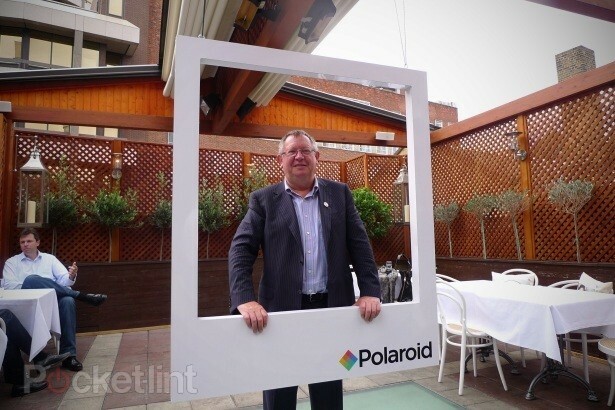 We settled down for a chat with Polaroid MD Graeme Chapman to find out more about how the brand has risen from the ashes after going bankrupt, not once but twice, and just what on earth he was thinking when he offered one of music’s most eccentric stars a seat on the board. Seated on the sunny roof-top terrace of a well-known Greek restaurant in central London – a venue that has played host to The Beatles and the 1966 world cup-winning team, among others – Chapman explains that this isn’t merely a case of a celebrity slapping their name on a product – Gaga genuinely does get involved. The Polaroid Grey Label range is the result of the Lady Gaga collaboration and comprises three products, the first of which – the GL10 instant printer – has just been launched. Using Zink inkless printing, the compact printer can be used to print photos from your mobile phone, via USB or Bluetooth. The printer is compatible with most handsets, including Android, BlackBerry and Windows models, but not iOS devices. However, that’s something that’s set to change in the not-too-distant future. 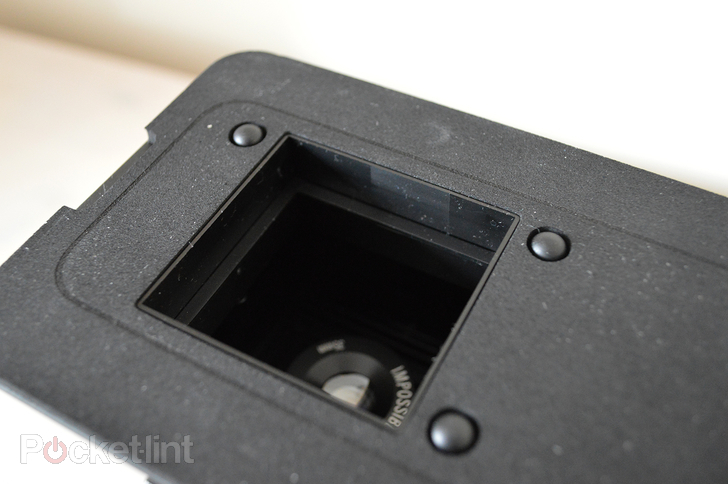 You can read the rest of the article here on Pocket-lint.com (originally published 03/08/11).